Were the Beatles really four regular lads from Liverpool who, against all the odds, just happened to become the most popular and influential group of all time? Or is there more to know about how their achieved their fame, and what their ultimate role really was at the hands of the occult practitioners who really control the corporate music industry? On that note, one of the most enduring ‘conspiracy theories’ maintains that the real Paul McCartney died in 1966 and was replaced by an impostor who has been playing the public role ever since. Preposterous as this may at first sound, there is actually multiple forensic evidence to show that, whatever the circumstances, there has been more than one ‘Paul McCartney’ presented to the public these past few decades. 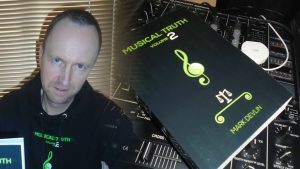 Mark Devlin, whose books Musical Truth Volumes 1 and 2 document the dark side of the music industry, will present the evidence for a switch, and consider the circumstances in which this could have been achieved.